Richwell International represents a homegeneous group of factories manufacturing stainless steel. Each group member has expertise in its own area of manufacture. 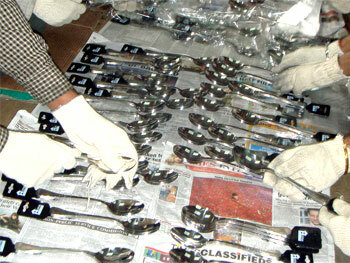 Our production of flatware items requires a complete arsenal of cutting & stamping tools. The process is cutting and then bending. 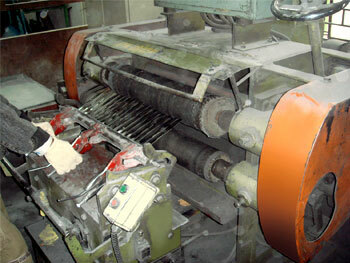 Sheets are cut precisely for optimum use of material to be subsequentily bend. The next process is to roll out the front part of the flatware so that the material becomes denser. This is very important for the correct balance of the product. As a matter of fact, it is all that makes difference between good quality and a cheap duplicate. 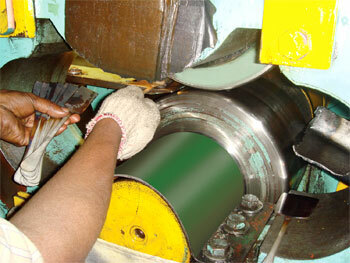 The roll-out forms are then cut on a press and the design are stamped on a heavy screw press. 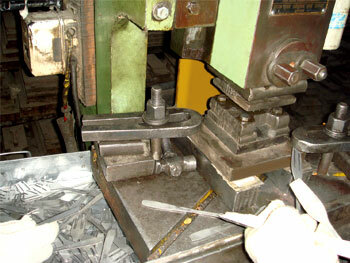 Stamping ends the raw production and surface working follows. 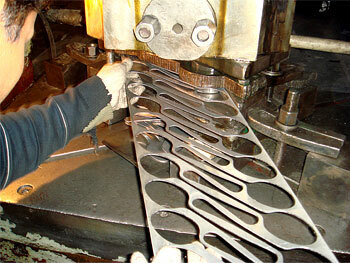 Flatware is then polished on machines to give a even finish. 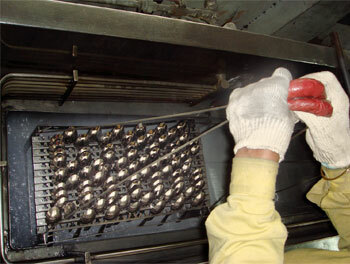 Flatware is then cleaned and degreased in a utrasonic machine. The pieces undergo a strict quality control under the watchful eyes of controllers. Pieces with scratches or small irregularities are rigouously set aside to be reprocessed.